I wanted to blog about whipping Xterm into shape and switching to it from "heavier" Terminal Emulators provided by Desktop Environments (such as GNOME-Terminal, Konsole or even Xfce Terminal) or Terminator. I can't really top this post from +Lukáš Zapletal that I came across. In that post, he taught me more than I ever knew about setting up Xterm for real work, so thank you! 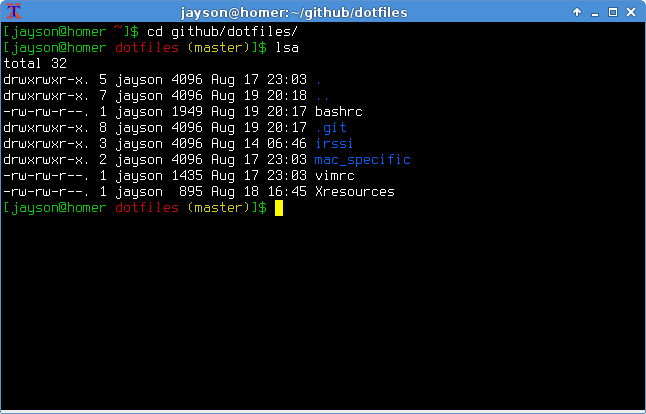 As you can see, I also like Terminus as a console font, and I've used it in other terminal emulators as well. Although Lukáš prefers size 18, I prefer 16 as default. I'm also simply (at least for now) using Xterm's default color scheme, although w/ a white foreground and black background. Thanks again Lukáš for such a great post!